Let’s admit it–we all dream of being able to apply foundation flawlessly, and makeup sponges will help us do just that. But not all makeup sponges are the same, they differ in shape, size, and even use, making it important to choose the right one to achieve a flawless application. But with brands like the Beauty Blender, Real Techniques, and Sigma releasing great products, it’s still difficult to choose. In this article, we’ll be breaking down what you need to know to choose the perfect makeup sponge. We’ve also made a list of the best products you can get online in the Philippines. 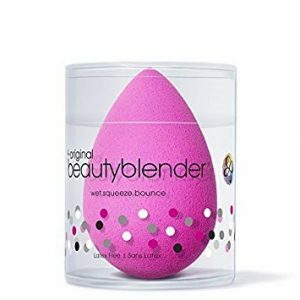 Ever since the Original Beauty Blender (that iconic neon pink egg-shaped sponge) was brought to fame, several dupes have been spotted out in the market. They may look the same, but it doesn’t mean they perform as well. Let’s check out what we need to know before buying a makeup sponge. Makeup sponges come in an array of different shapes and sizes, each having a specific purpose. Some are thin, some are flat, some are round, and some have edges. 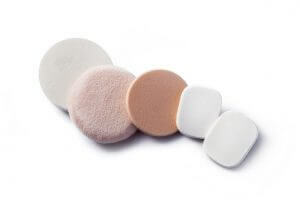 Thin sponges are better for travel, as they’re easier to store into your makeup bag. Rounder, egg-shaped sponges are bulkier; and therefore better for at-home use. Sponges designed with corners and edges help you reach the corners of our face that we just can’t seem to do with regular round ones. But trimming your current sponge could also fix that problem, that is, if you don’t mind doing it. Teardrop-shaped sponges, on the other hand, are more versatile. They have both a pointy edge and round bottom, which makes makeup application a breeze. What your makeup sponge is made of is more important than you think. Most makeup sponges are made of latex or hydrophilic polyurethane, so people who are allergic to latex should opt for latex-free makeup sponges. Hydrophilic polyurethane sponges are usually latex-free and are more environmentally-friendly. Also, pay attention to how fine the pores are on the sponge; the larger they are, the more likely they are to cause streaks, resulting in an uneven coverage. Silicon sponges have also made their debut recently. They’re easier to clean, but they don’t necessarily give you a seamless or flawless look. To achieve a nice full coverage, it’s recommended to stick with the traditional sponge. Not all sponges are designed to be doused in water before use. Always check the instructions of the product before using it. Makeup sponges designed to be used dry are more suited for powder application, while ones designed to be used wet are more suited for liquid application. Hydrophilic makeup sponges, which absorb water, are designed to be used wet. 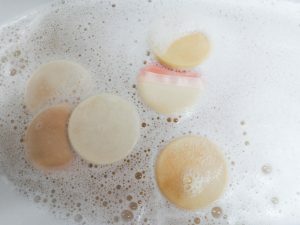 You also waste less product because the sponge is already soaked in water, leaving no room for the product to get absorbed. Next up is our list of the best makeup sponges you can buy online in the Philippines. We’ve made sure to research their performance based on reviews and popularity. We hope you find something you like. As the name suggests, this makeup sponge is latex-free and is made of 70% plant-based materials making it eco-friendly. It’s soft to the touch, and it expands when exposed to water. You can use this sponge wet or dry, just make sure to squeeze the excess water out until it’s just damp. You can use it to seamlessly blend foundation, concealer, highlighter, or contour. After use or after cleaning it, you can use the handy stand it comes with. One downside is that it can fall apart or break easily if handled roughly while cleaning it. 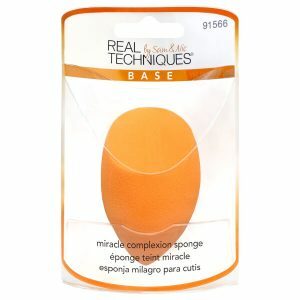 This makeup sponge is designed with two distinctively textured sides for a versatile application and seamless finish. The smooth side is designed to be used with liquids, gels, and creams, while the flocked side is for powder-based makeup. Its flat shape makes it easier to handle and use for makeup application, and it also makes it easier to store for traveling. This makeup sponge works best when used wet. It also doesn’t absorb a lot of product, so you know you won’t be wasting anything. 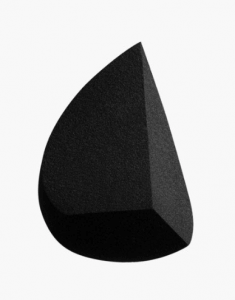 This makeup sponge’s edgy and innovative design will allow you to cover every nook and cranny. You can use the curved edge to blend, point to do finishing details, the double wedge to contour and highlight, and the flat base to bake. It can be used to prime, conceal, sculpt, and highlight with powders, creams or liquids. You’ll be guaranteed a flawless, natural look. It’s designed to be used wet, so remember to squeeze out any excess water before use. It’s latex-free, and it comes in two colors, black and pink. This makeup sponge is designed with round sides, a precision tip, and a flat edge, which makes it suitable for all types of application. You can use the tip to cover imperfections, the round edges to blend large areas, and the flat edge to for the contours of the eyes and nose. It can be use wet or dry, but since it has a tendency to soak up product, just make sure to never apply a liquid product directly onto it. Overall, it’s a quality sponge that spreads your makeup up evenly for an even, flawless finish. This groundbreaking makeup sponge success is attributed to its ability to flawlessly blend almost any type of makeup, such as foundation, concealer, highlighter, contour, powder. It was designed edgeless, and that small tip at the top is designed to fit into the contours of our faces for a smooth application. It’s latex-free, and it’s designed to be used wet. 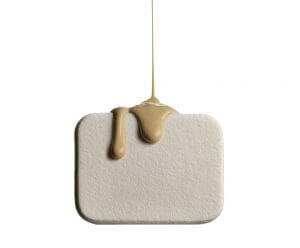 The wet sponge allows the product to sit on top of it, instead of getting absorbed. The only downside is that its a bit expensive, but we guarantee it will be worth your every penny. We know this is a tedious task that no one really wants to do everyday, but you need to know how important it is to wash your tools after every use. Every time we use our makeup sponges, dead skin particles, oil, dirt, and who knows what get into those tiny little pores of the sponge–and they stay there, unless of course you wash it. You wouldn’t want to increase the risk of breakouts and infections, right? Aside from using makeup sponge cleansers, you can also use olive oil and mild liquid soap that you might have lying around your house. Lastly, always wait for it to dry completely before storing it. Makeup sponges also have a lifespan of three months, so make sure you take note of when you’ll need to replace your dirty old sponge. Having the right tools to blend your makeup seamlessly can make or break your overall look. Makeup sponges also come in different shapes and sizes, so you can definitely find one that matches your makeup style.